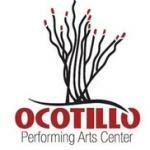 Though the summer fun is just heating up – literally – in Artesia, fall will soon return, and the Ocotillo Performing Arts Center will be waiting with another full slate of entertainment for its 2017-18 season. 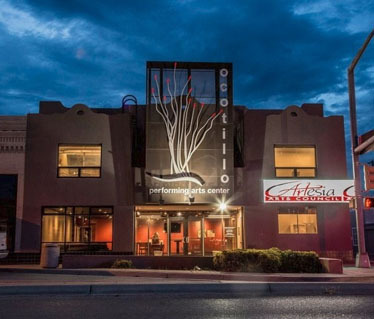 Artesia Arts Council Executive Director Laurie Schotz says the OPAC has focused even more intently on variety in its offerings, meaning everyone should be able to find a range of shows that appeal to their tastes. With that in mind, the OPAC is offering not only its traditional Golden Tickets – which, for $450, admit the holder to all of the season’s events – but a “Six-Pack,” as well, which allows the holder to pick their six favorites for $150. Schotz says the Six-Pack can also be upgraded to include other membership levels should the purchaser wish to take advantage of their perks. • Fan ($25): Voting privileges, early ticket access, monthly e-newsletter/calendar, VIP invitation to fine art receptions and meet and greets, early bird Art in the Park registration, and reciprocity with the Roswell Symphony, Carlsbad Concert Association, and Las Cruces Civic Concert Association. • Enthusiast ($50): All prior benefits plus exclusive invitations to special events and name in Entertainment Guides and the arts council website. • Curator ($100): All prior benefits plus 10-percent discount on OPAC facility rental, additional reciprocity with Roswell Little Theatre, Southwest Symphony, and Grant County Concert Association. • Family ($175): All prior benefits plus 5-percent discount on classes and workshops. • Director ($500): All prior benefits plus 10-percent discount on workshops, two free tickets to Spencer Theatre, two free tickets to the annual membership dinner, and free entry to fine arts shows. • Executive Director ($1,000): All prior benefits plus two free tickets to a concert of choice and one free workshop or master class. Membership levels of Curator and higher are also eligible for four OPAC TBA shows. The arts council also offers sponsorships at levels ranging from $1,500 to $20,000 with various additional perks. “We have to raise more this year than last year to keep the program going,” said Schotz. “But it doesn’t have to be one of these big things. The 2017-18 season will officially kick off Sept. 5 with the Everly Brothers Experience, followed by a Pink Floyd Laser Show Sept. 9 and Coby Carter and 5 Miles West of Lubbock, Texas, Sept. 23. October will feature a domestic violence awareness event in partnership with Grammy’s House and An Evening with Edgar Allan Poe in partnership with the Artesia Community Theatre and Ocotillo Comedy Troupe, and November offers Three Redneck Tenors, Mr. Blue Shows, The Underwater Bubble Show, and A Charlie Brown Christmas. Fans of the Flying J Wranglers will be happy to hear of their return to the OPAC Dec. 5, followed by Medieval Merriment Dec. 19. In January, An Evening with Groucho Marx is slated for Jan. 14, Lone Pinon of Albuquerque for Jan. 25, and the Portland Cellos for Jan. 28, and a Billie Holiday tribute and The National Players presentations of “The Great Gatsby” and “Alice in Wonderland” are set for February. Las Vegas’ own Popovich Comedy Pet Theater will hit Artesia in March, along with the BYU Ballet, an Irish comedy show, Las Cafeteras of Los Angeles, a Grease sing-along, and Surf’s Up, a Simon and Garfunkel tribute and classical pianist Ann Sweeten will arrive in April, and Mariachi Tenampa will return in May. “We’re trying to do things outside of the normal box,” said Schotz. “For instance, you get laser glasses and get to listen to Pink Floyd music. We’re going to have more local bands coming in. Charlie Brown Christmas, the Flying J Wranglers, and classical musicians are coming in. Schotz says to coincide with The National Players’ performance of “The Great Gatsby” near the end of February, that month will also be designated 1920s Month in conjunction with the Artesia Public Library and Artesia Historical Museum and Art Center. ‘20s-era dance lessons and art deco art projects will be offered, the Billie Holiday impersonator will entertain, and a gala and murder mystery are also in the works. The BYU Ballet will center its performance around princesses and thus offer a “Princess Party” prior to the show, and the Edgar Allan Poe Halloween event will even include a tribute to downtown Artesia’s lovable grackle population. Fall will also bring an exciting opportunity to the OPAC’s Elite Theatre students – the chance to create their own play. “They’re going to write their own script, and not only are they going to write it, they’ll get to work with professionals in February when The National Players come back,” said Schotz. “They’ll make their own sets, their own props, costume it, direct it, and then they’ll produce the show in the spring. Artesians are also encouraged to contact the OPAC at 746-4212 if they have any suggestions or “wish lists” regarding what they’d like to see at the arts center.